Sunday afternoon was anything but lazy as our spring spree commenced. Hosted by David and Mary Salon, the event turned the normal breezy day into an immersion experience of sipping, styling and, obviously, shopping. Guests welcomed by a champagne bar, were attended to by some of the city’s most experienced stylists. Advice for every facet of life was given free of charge. Fitness tips, makeup consultation and home accessory solutions were a few of the valuable tidbits offered. We provided the accessories, giving the salon a fresh, new aesthetic. 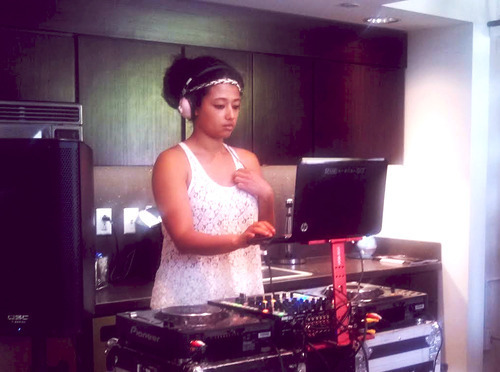 DJ Gabby Love spun a killer set that made us forget we had to work the next day. The ladies from 14 Districts helped guests curate a unique day style that was comfortable and chic. Our own Kristin Okeley created a beautiful and impressively extensive spread of food that kept guests coming back for more. Everything on the table was truly delicious and emphasized the value of impeccable presentation. We can’t thank David and Mary, 14 Districts and Fitness by Design enough for being the best at what they do and stellar collaborators.